Some old Intranet programs just refuse to work with ie7 or Firefox. Some don’t even try and fail as soon as they see the browser isn’t ie6, others try and fail miserably because of code targeting ie6 specifically. 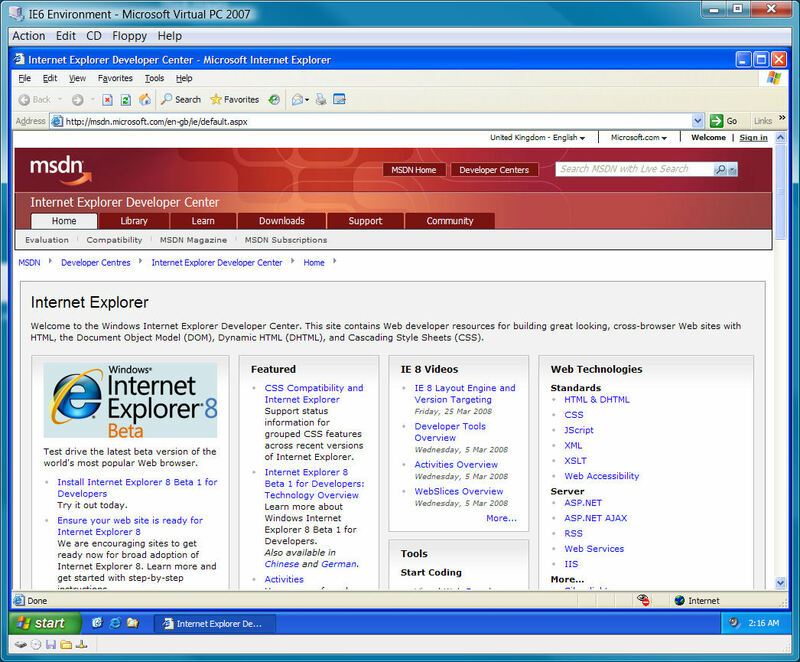 You’re a developer, and as a large number of your users still use IE6 (mainly because of the reason above) you need to test that your website or application works for them. IE6 ignores the !important and sets the height using the last line. IE6 treats height like it should treat min-height and lets child objects cause the parent to expand. I found this helpful solution here.